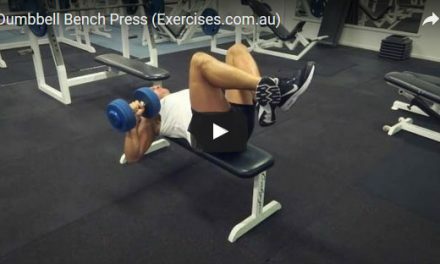 Tate Press is a unique exercise that effectively targets the triceps and also works the upper chest and front heads of the shoulders. Tate Press can be done after a compound exercise for chest, shoulders and triceps. Because of its angle and the position of the elbows, Tate Press is best performed with light to moderate weights. Set an incline bench to an angle of 45 degrees. Pick up a pair of dumbbells; sit back on the incline bench and bring the dumbbells to shoulder levels. Press the dumbbells up with your palms facing out like in an incline dumbbell press. Make sure the dumbbells are touching each other. At the top position, keep your arms straight but do not lock out your elbows. Bend the elbows and slowly bring the dumbbells down to touch your chest. 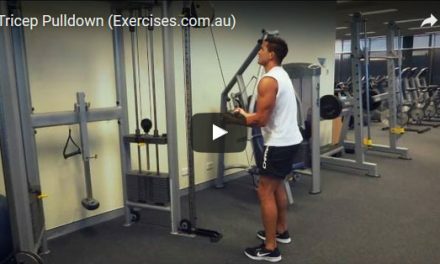 Press the dumbbells up by extending your elbows back to the starting position. Squeeze the triceps for a count of “one” at the top position. 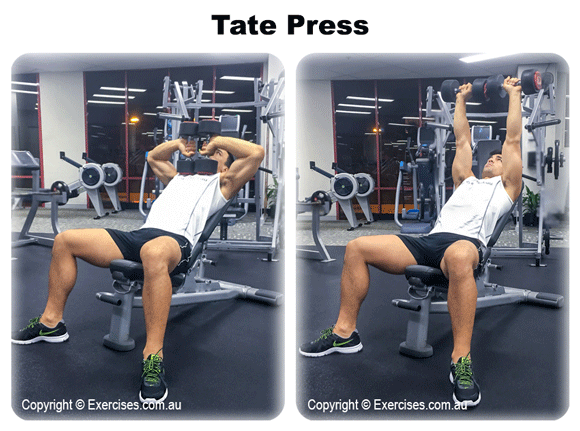 The key to the Tate Press is to make sure the dumbbells are touching each other all throughout the exercise. 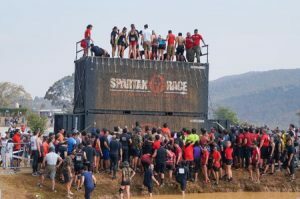 Do not move the elbows. Keep them in place; only the arms should be moving up and down when performing Tate Press.